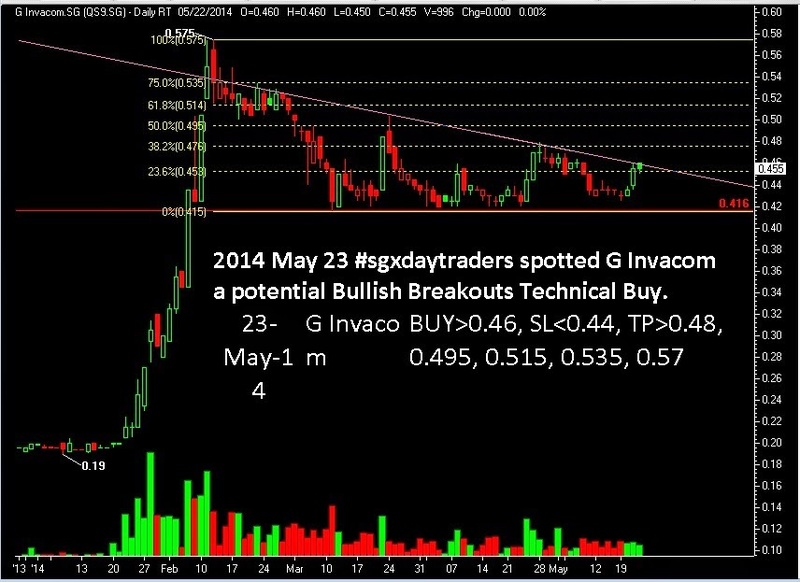 2014 May 23 #sgxdaytraders spotted G Invacom a potential Bullish Breakouts Technical Buy. G Invacom closed 0.48, more upside to come. congrats all vested.